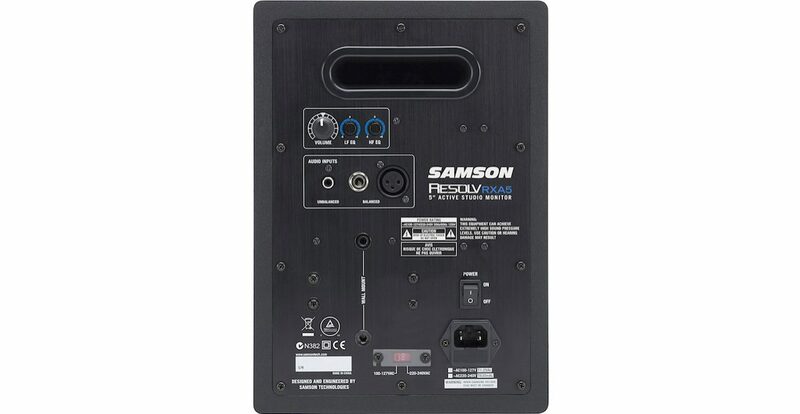 The Samson Resolv RXA5 is an extremely workmanlike monitor, in an understated black vinyl-coated MDF box, with rounded corners. Unlike, say, the KRK Rokits, these have no flash of colour, and only a subtle lit up logo to tell you they’re turned on. The only real distinctive factor when looking at them from the front is the ribbon tweeter, which is behind a rectangular grill above the 5″ woofer. 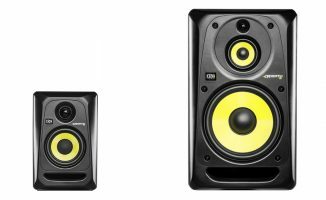 They are larger than most monitors with 5″ woofers that we’ve tested, and they’re quite heavy too (about 15lb, which is 7kg). Round the back each of these active, bi-amped monitors, again everything is pretty standard in features and layout. These are rear ported so there’s a bass slot at the top, and as well as a volume, there are LF and HF boost/cut fine-tune controls (+/-6dB). You get balanced TRS and XLR inputs, and unbalanced RCA, and as well as the expected on/off, “kettle”-style power socket and covered fuse, there are a pair of threaded holes for wall mounting. We have been testing these as our go-to speakers for a DJ course we’re currently filming in the studio here (the long-awaited 2015 remake of How To Digital DJ Fast, since you wondered…), and so we’ve been using them with a variety of music, mainly pop, EDM, hip hop and house. They’re “near field” monitors (designed to be close to the listener) and that’s how we’ve used them here, on the desk angled towards the DJ. The rear panel, showing the inputs and outputs. All standard, but the addition of mounting screw threads is a plus point. 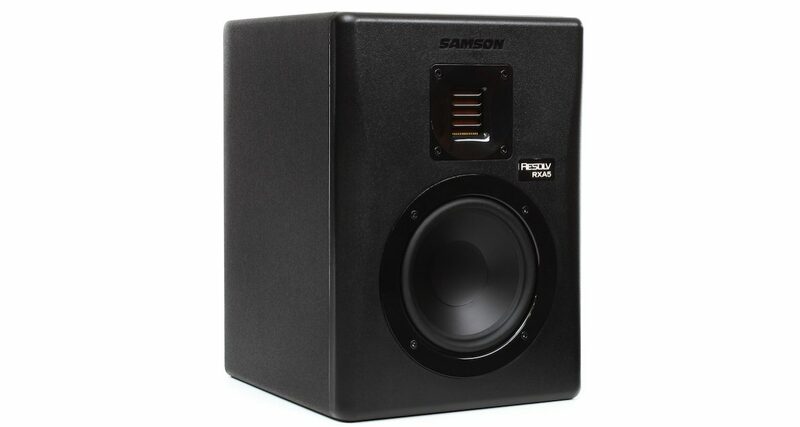 Samson claims a frequency response down to 45Hz; what I can say is that while these started off bassy, they appeared to grow in stature over the days we were using them, with a real satisfying bass “thump”, especially impressive from a 5″ woofer; must be the weight and size of the cabinets. Treble was clear without being harsh, which was part of the claim for the ribbon tweeters. While we’ve never tested a speaker with a ribbon tweeter before, they certainly appeared easy-going on the ear in extended listening sessions. Overall, we found the sound from the speakers to be balanced yet revealing enough for them to work well as a DJ practice speaker as well as if you want to use them for your first forays into production. We liked the fact that they are bigger than most and heavy, as it nods to the quality of the construction and contributes to the bass response, and the only nit-picking one might do is call out the fact that there’s no auto turn-off after a period of inactivity, and no LED to show you if they’re on. 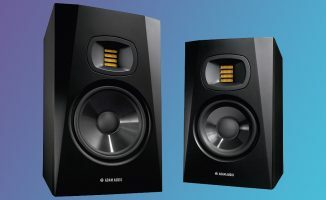 Overall, a bi-amped, ribbon-tweetered monitor for this kind of money that sounds this good means the Samson Resolv RXA5s jump straight on to our recommended list for anyone looking for a lower-budget speaker, for both DJing and production. Thumbs up. • Find out more about them here. Do you own these? Do you like the look of them? What 5″ monitors do you use? Feel free to share your thoughts in the comments. I have the Samson R6a in use for at least 10 years, 8 years ago I was not happy with one of the build in amps and Samson changed it for a new one in a week! Looks like an XDJ-RX review is also in the works……can’t wait! Looking to upgrade speakers for something decent. 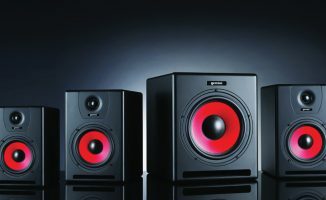 Torn between Yamaha HS7 or Pioneer SDJ 60X then saw these! What would you recommend be best for mainly DJing but also dabble a little in music making using virtual synths and a midi keyboard? As they are all around the same price is there not a lot in it? Also when are we getting a full review of. 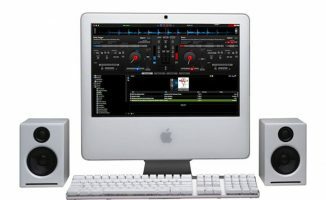 Pioneer XDJ-RX as I am looking to invest in one of these also but have no retailers near me to try before I buy. All you mentioned are good, if you can’t hear them first, trust your instinct.